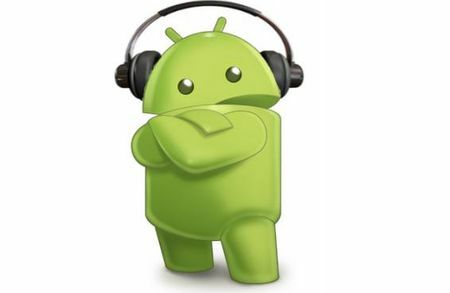 Android Phones Archives | Androidability | Android tips, tricks, and technology for better ability. In the world we live in, we tend to take our mobile devices for granted these days. They sit in our pockets ready to provide us with access to the Internet, and all the different forms of entertainment that it holds. Something we tend to forget though to keep this portal safe, especially from the less trustworthy sites that are out there. Android has almost reached the top of smartphone market segment and day by day its user base is growing strong.These smartphones have become part of our daily life and we use them at most of the times but we still miss out on exploring our phone’s features completely.Many android users do not know much about the hidden features of android phones. Here we are sharing an article with secret android tricks and hidden features of android phones. Different versions of android support different set of beautiful and cool features, so try them all and see which would work on your device. 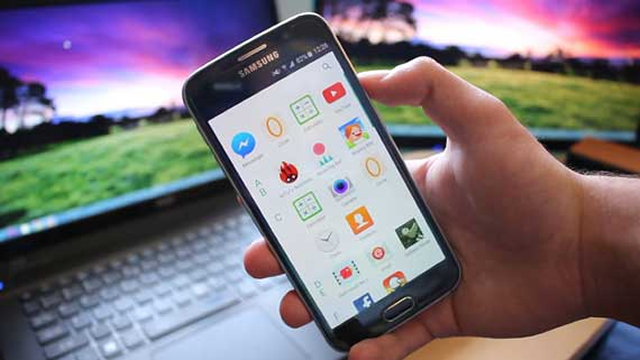 To know more about safe mode, read – What is safe mode in android and how to switch it on. To activate this: Go to Settings > Security > Screen lock > Face unlock. b) Hard reset: To hard reset a phone dial *2767*3855#, this will delete all the data (including internal and External SD data) as well as settings of android phone. Don’t try this code for testing purpose, until you are not sure. It will not ask for any confirmation. 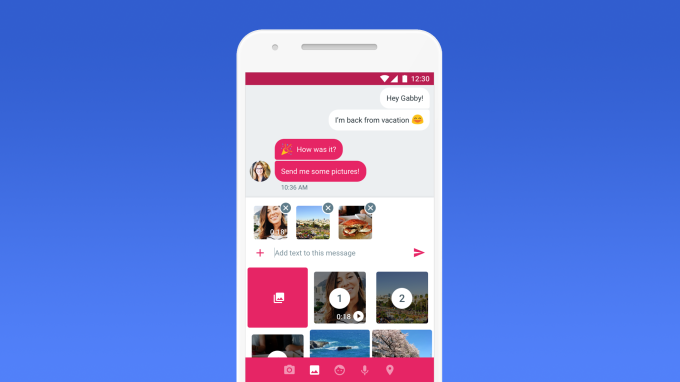 It’s easy to find Android phones that can handle the Exchange-based email you often find in the workplace, but they don’t always support all the latest features. That won’t be a problem for much longer, though, as Microsoft has just revealed plans to bring Outlook Web App to Google’s platform later this year. 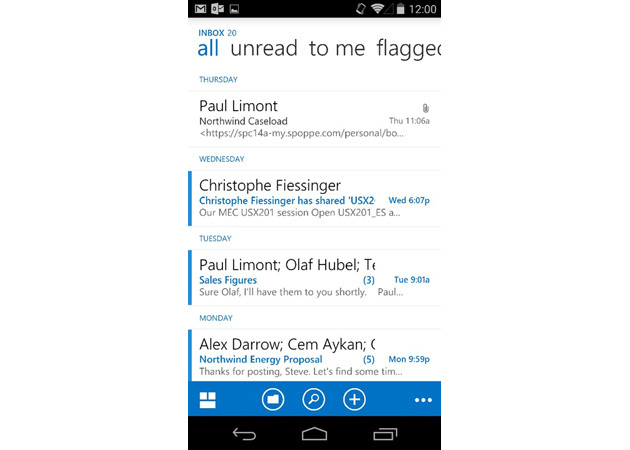 Much like its iOS counterpart from 2013, the Android release should let you take advantage ofOffice 365 technology that might not make it into third-party email software. The app may not be all that exciting by itself, but it could be the key to using your preferred phone for work instead of having to switch to company-approved hardware. You’ve probably run into the problem that the sound emitted from your smartphone is rather dull, partly due to the hardware design where stereo speakers are placed on the back of the smartphone. It’s difficult to change this small and frustrating detail and the sound quality on Android sometimes leave much to be desired. There are however a few tricks you could give a try. Whoever thought that it was a good idea to place the audio output on the back of a phone? Like me, most place the smartphone screen up. Not only that, the volume is often of poor quality anyway. In reality, there is no magic formula to change this disappointing aspect, however there are a few tricks to increase the bass and other details. 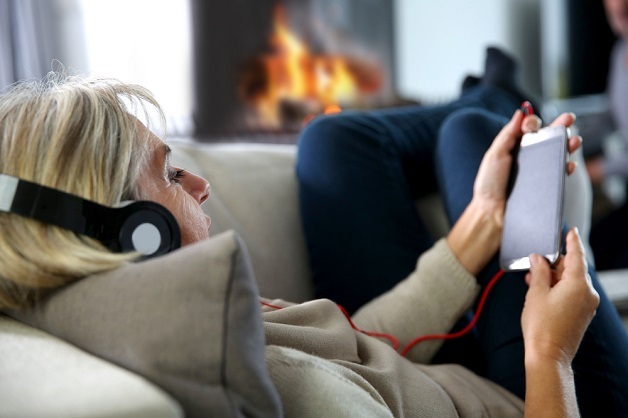 Reinforcing the bass can significantly improve your music listening experience. There is more than one app to solve this problem found in the Google Play Store. One of these is Music Volume EQ. While many Android phones have done away with expandable storage, enthusiast site Android Police has discovered that Google is pushing to limit the ability of apps to write to certain portions of SD cards altogether as of Android 4.4 (KitKat). The changes (which you can read about in-depth at the source link below) now mean that apps by default get their own private folders on your phone’s built-in storage, but must request permission to write to the SD card. Even with that permission, the app will only be able to read public folders on the SD card. It can’t write to anything on the SD card outside of its designated sandbox. The implications for the change aren’t fully clear yet, but for certain devices with an SD card slot and Android 4.4 (including the popular Galaxy S4), some apps may simply be unable to do anything but read data stored on the SD card. While root users may eventually be able to get around this, it’s also unclear what would be required. It may be possible for a root app to request the access required, or it may require changes to the ROM itself. For right now, though, if you need to dump some files on to your phone, it might be best to stick to your phone’s internal storage. The stock browser that comes with an Android phone is definitely a great web browser but it is still lacking when compared to some third-party web browsers for Android. If you’re looking for an alternative to the stock Android browser then you have come to the right place. In this article, you will find five fast and feature-rich web browsers that you can use on your Android phone. Most of these browsers working on Android devices that running the Android version 2.2 or higher. Note that every web browsers I have listed below have their own advantages and disadvantages so give each of them a try to find out which one suits you best. Dolphin browser is one of the most popular web browsers for Android devices. It is fast, customizable, and comes with many cool features like voice and gesture control, tabbed browsing, and sharing features. Its gesture feature allows you to load a site by drawing a gesture with your finger. For example, drawing the letter G takes you to Google.com, while drawing the letter F launches Facebook.com. You can add your own gestures to do virtually anything, including open a specific page, go backward or forward, add a bookmark, and etc. The Google Chrome browser is one of the fastest web browsers available not only on desktop computer but also on smartphones and tablet.As this app is directly from Google, you can access a lot of Google features directly from it. Adding tabs and removing are now as easy as tapping with your fingers. You can even access all the open tabs as well as the bookmarks from all other device by just syncing with your account. Another great feature delivered is the easiness of sending pages from chrome between various devices. Firefox is without any doubt, the most popular desktop’s browser. Now they’ve come to the Android device by releasing their Firefox browser app for Android. Like its desktop counterpart, Firefox for Android lets you customize the web browser by using add-ons. Well-known add-ons like Adblock Plus and No Script have been ported to Android, allowing limitless customization of the browser.Firefox also delivers latest security and privacy features to help you stay safe on the internet. It is the first mobile browser support to truly support Do Not Track that lets you tell website not to track your browsing behavior. UC Browser is the leading mobile web browser with more than 400 million users worldwide. It is known for its fast performance and rich features. The UC browser uses cloud acceleration and data compression technology to provide faster browsing experience and less data usage. The browser also delivers high-performance rendering with smooth animation capabilities for amazing visuals and excellent navigation.One of the main feature that this app offers is the intelligent analysis that helps you save time by pre-loading the next page in advance. UC browser also has add-ons and download manager that support pause and resume downloads. Opera mini is another top android browsers that offers fast browsing (up to 5 times faster than the stock browser). Being one of the oldest browsers in the mobile world, this browser seems to have all the basic features which are required for mobile browsing.One of the most impressive features is speed dial that lets you access your favorite websites with one click. It also has download manager which allows users to pause and resume downloads. Buying a smartphone for someone can be tricky. A phone is about the most personal piece of tech anyone can use, and you need to take into consideration the network that person uses, the platform of their current handset and so on. If the person for whom you are buying is – for instance – a BlackBerry or iPhone user, they may have apps and media tied into those platforms. Moving to Android could cost them money – are you sure it is an Android phone they want? Also, remember that Android is a very fragmented market. Not all Androids are made equal, and different phones have different versions of the operating system. Here then, in no particular order, are 12 Android phones worth considering this Christmas. Quite simple a budget smartphone that performs everything at the £100 inc VAT price point. It does the basics well with Android 4.1 software with usable battery life at an incredibly low price. For the money, it’s one of the best budget smartphone choices around. Drop down to £79 and you can pick up this stylish and well-built handset for a true budget price. The Huawei offers better performance, but costs more. Your choice. Our final budget smartphone choice is the MotoSmart. It also costs £100 and gets the basics right. We’d probably pick the Huawei given a straight choice, but the Motorola will be a good Christmas gift for any first-time smartphone owners. The Galaxy S4 is a great phone with outstanding hardware and performance. At £500 it’s far from cheap, but those who like it love it. The £520 Xperia Z is the first smartphone which Sony has really nailed. We love the stylish, desirable and rugged design. The combination of excellent performance, a stunning screen and great cameras make the Xperia Z a force to be reckoned with. There is very little to say about this phone that is negative. We’re not sure you need all the extra features that Samsung packs in to this £599 handset, and we could live without the S Pen. And not everyone needs or wants a smartphone with a 6in display. Neither is the camera all that great. But be in no doubt about it, the Galaxy Note 3 is a high-quality portable device, offering the best performance we’ve ever seen, a stunning screen and nice build quality. Spend £449 and you can get this handset. The HTC One is up there with the very best smartphones on the market today. It has superb performance, and excellent build quality spoiled only slightly by running hot in use. You can’t fault the feature set, and it matches the other high-end products in terms of price. In terms of audio and visual output it is unsurpassed. The interface might be an acquired taste for some, and we weren’t overly impressed with the camera. Or shell out £599 for the Z1. Sony has upgraded its fantastic Xperia Z. The Xperia Z1 feels nicer but is unfortunately bigger and heavier. It’s a powerhouse with an all-round impressive specification. Easily one of the best Android handsets around but the high price tag taints this slightly. LG G2LG has trumped the competition with the G2, at £349 our current Best Buy. The phone offers a combination of value for money with high-end features which we haven’t seen from rival flagship devices. A great specification combined with impressive design and handy software features mean there’s very little to dislike about this handset – only really the lack of a microSD card slot. With a newer version of Android, fixed build quality issues and significantly increased battery life, the £450 One X+ is a polished and honed version of its predecessor. It’s now an even better all-round quality smartphone with a reasonable price tag. HUAWEI Ascend P6The £309 Huawei Ascend P6 is a fantastic and desirable smartphone, whether it’s an iPhone copy or not. It provides real value for money even if it is lacking NFC and 4G support. We particularly like the cameras and the customisable user interface. The £379 HTC One mini isn’t as good as the HTC One. Its performance is decent but not spectacular, and the addition of a layer of plastic has removed some of the original’s chic. But this is a very strong handset at a decent price. Well worth a look.